With his friends standing beside him, Jacob Klaybor stood back and took in the hillside covered with students who were enjoying the band playing on a warm spring night. More than 1,500 students enjoyed the annual Rock the Quad. And Klaybor was at the center of it all. 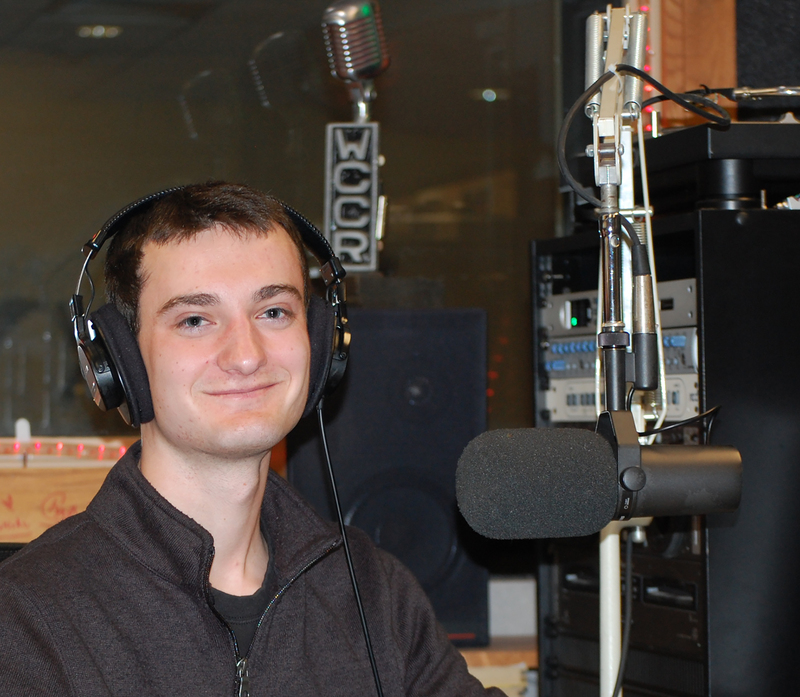 Klaybor is president of Cary Club Radio (called WCCR), which organized Rock the Quad, a free concert for students. WCCR is also one of three student-run campus radio stations. Student hosts independently program WCCR’s online platform. The hosts have an opportunity to create their own “brand” because they have freedom over their own shows to choose things from playlists to talking points. 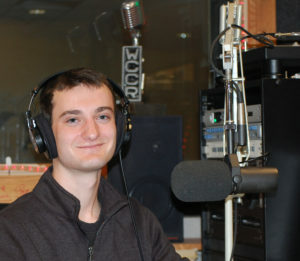 Jacob Klaybor is the president of Cary Club Radio (WCCR). In addition to creating radio shows, the group also puts on an annual Rock the Quad concert. Klaybor said WCCR is a great way to help advance journalism and communication student’s future careers, but it is also a fun hobby that anyone can enjoy. Since the club is filled with students from all majors, Klaybor met and collaborated with students and organizations from all over campus. Klaybor is involved in environmental groups on campus, but in taking a step outside of his field he has been able to learn how to be an outsider. All that effort doesn’t mean no fun. Klaybor said he enjoys looking through WCCR’s extensive record collection and listening to other programs. Klaybor said the fun memories and awesome results of their efforts were worth the late nights. During Klaybor’s freshman year his friends talked him into joined radio club in Wiley Hall. He has been hooked ever since. Though he currently isn’t producing a show, he hopes to once his term as president is over. Klaybor said one of the best parts of being at WCCR is the chance to carry on a tradition that has been a part of campus since 1952. Hearing from WCCR alumni has motivated Klaybor and the rest of the members. He embraces the weeks leading up to the next Rock the Quad event. In his second go around they have learned from their mistakes in previous years and won’t be out until 3 a.m. the night before the show.